MTA at Wilshire and La Cienega. Please contact our event coordinator and arrange all you Special Events. Invite your guests over to have the finest Indian culinary experience in the privacy of your home or favorite location. 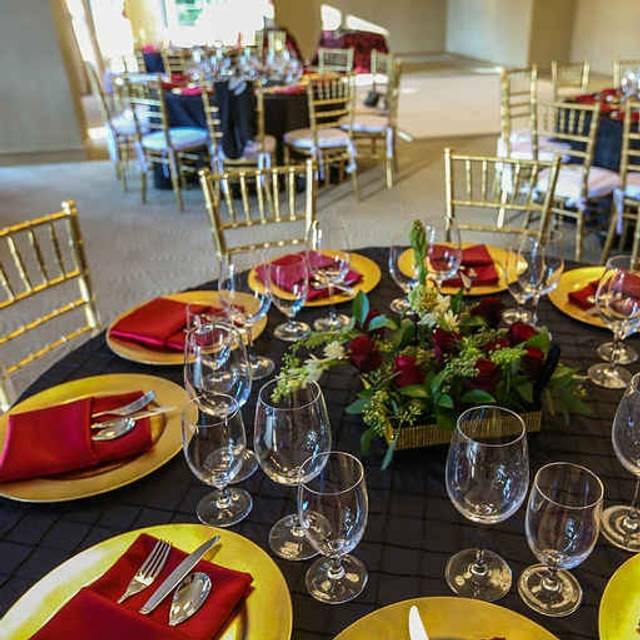 Plan your event with our event coordinator with a special handcrafted menu and personalized service of our staff. Spice Affair invites you to indulge in traditional Indian cuisine such as tantalizing kebabs and luscious curries with a modern flair. 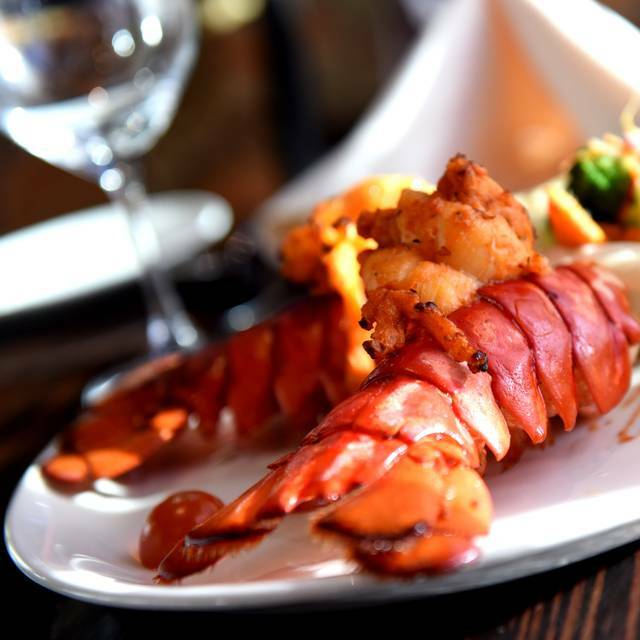 Exotic Indian spices accentuate an award winning menu featuring a number vegetarian, vegan, and gluten Free dishes. 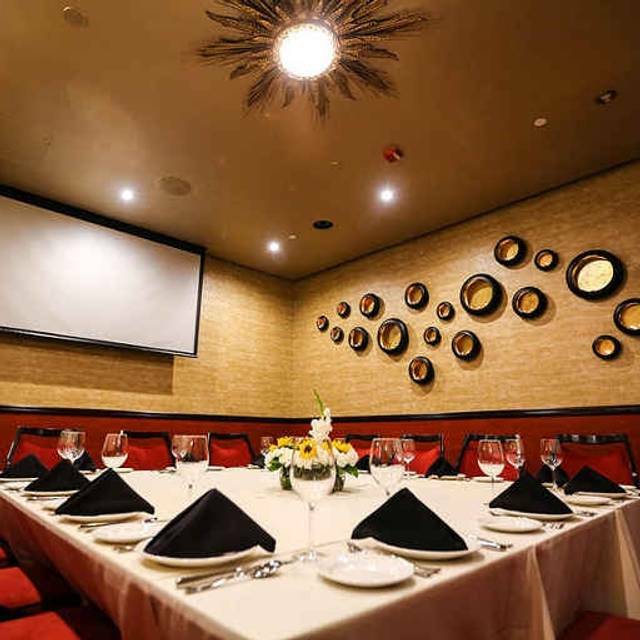 Located in the prime "Restaurant Row" of Beverly Hills our facility includes an intimate lounge, a cozy private dining room and a large banquet hall designed to suite the needs of both individuals and corporations. 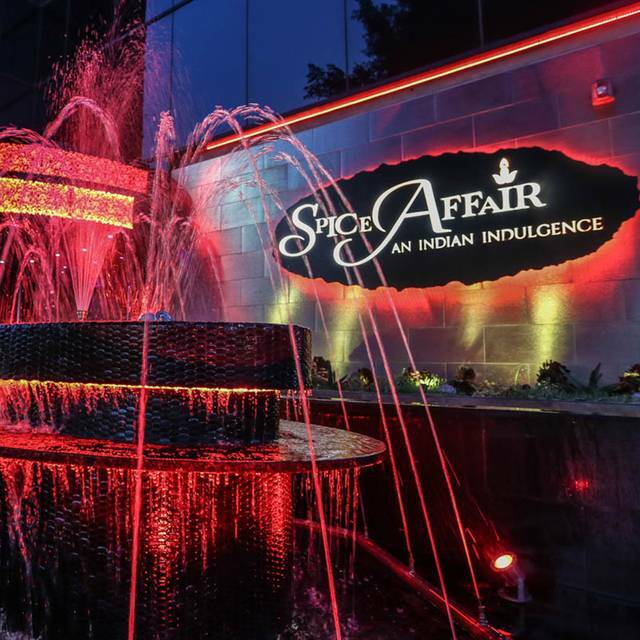 Spice Affair is able to accommodate every type of celebration and custom packages are available. We invite you to inquire about how we can make your next event incredible. Crisp Cauliflower florets in coconut sauce. You can't miss this. 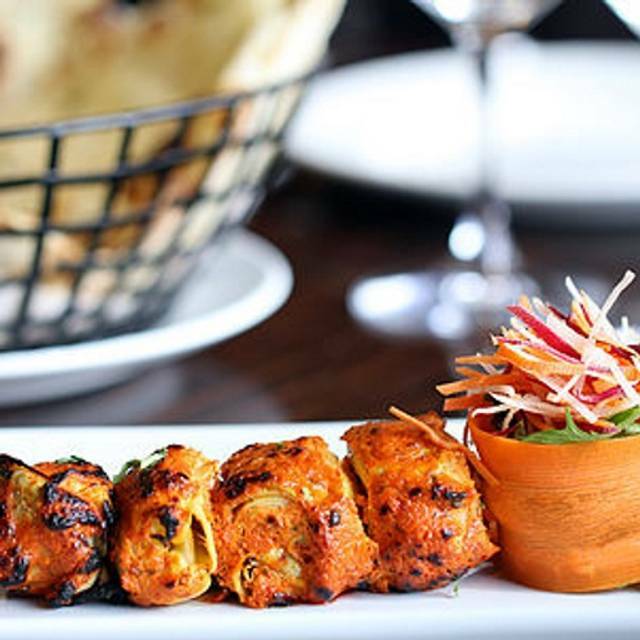 Tandoor grilled, Tantalizingly marinated. Spice Affair exclusive. Ginger-infused chunky lamb chops. A succulent sizzling delight! Shredded Tandoori chicken with our irresistible signature tomato sauce. An all-time favorite! Dal Makhani – Utterly Butterly Delicious! Boneless chicken, basmati rice, broiled saffron strands – magical whiffs tableside! Wonderful selection of authentic Indian specialties. 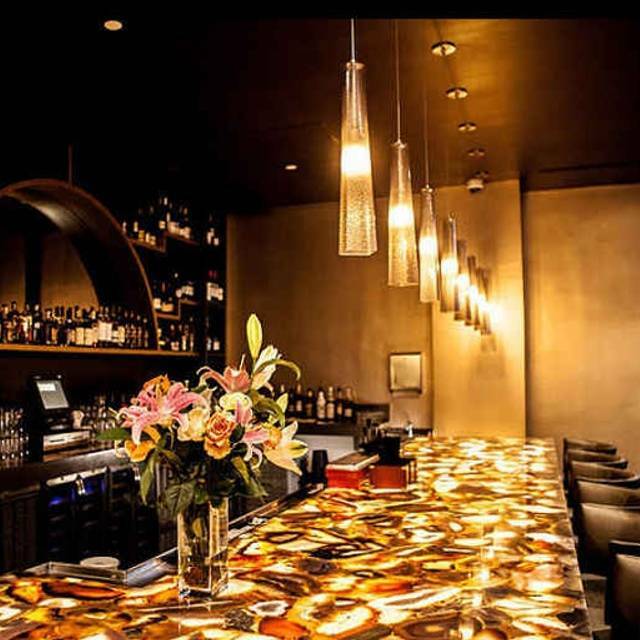 Good cocktails, nice location in beautiful Beverly Hills . The service was OUTSTANDING. The food was very very good but pretty expensive. But the service made it worth it. Received a free dessert for a birthday and it was AMAZING. Best free dessert I’ve ever received at a restaurant. Lovely brunch with great tasting food and generous refill of drinks. Worth a try! It was ok. There was limited options for vegetarians and not worth it paying so many bucks for just a normal food. I would rate it average. It was decent and the service was great. I've just had better butter chicken and half the price. If I come back, I'll get something different. There were 6 of us. We all were very impressed with this restaurant. None of us had been there before nor was it recommended to us by anyone. We simply chose it because it is close to the Saban Theater. We all had a delicious meal. The waiter recommended which selections to order and there was a perfect amount for all. Variety and quality of menu items are excellent. Nice ambiance. Very flavorful. Also very knowledgable wait staff. Loved the food but very high priced for the quantity received. The food was amazing and spiced perfectly. The ambience is great and even with a full house you can still have intimate conversations with ease. The worst Indian food I have ever eaten and I have eaten at many Indian restaurants around the world. Went with a friend for a special occasion. The food was excellent and service was very good. They have fusion Indian food like Guacamole bhel, which was delicious! Going back again. Took my wife for Valentine's, its was a really great experience. 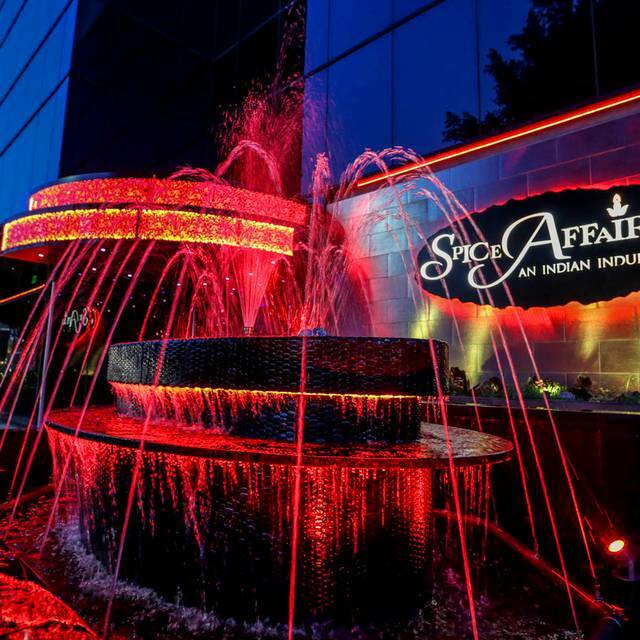 Spice Affair has the best Indian food in the city. Also the service was top notch, did I mention the food.. .I would definitely dine again. Excellent Indian food with a modern flair. Fabulous avocado Bhel! The food was excellent - different and eclectic and we were especially impressed with Christine’s service! Amazing food, world class service, great ambiance but pricey!! Did not enjoy the quality of food at all. Portions were small and did not have enough salt and spice in food to call it Indian food. Spice is the backbone of Indian food and without it food tastes bland. There were very few vegetarian choices to choose from. Overall I was disappointed with the quality of food. coco-li flower,butter chicken w/tomato sauce,basmati rice,olive and thyme naan and matar paneer. Everything was hot and delicious I would highly recommend spice affair to my family and friends. Too expensive unnecessarily for dinner but great service. The ambiance is great the music was a bit annoying but it was forgotten once the food arrived. Absolutely some of the best tasting Indian food I've ever had in my life. Service was outstanding as well. Prices are high, but the experience is worthwhile. Tonight was great. Got to show my out of town family a wonderful and important side of the cultures that surround LA. Best Indian I have ever had!! And yes, it was also the most expensive Indian I’ve ever had but the food was worth it. The music is too loud - please, Spice Affair, heed the other comments and please turn down the music. Food - butter chicken was beyond! Same with coco-Li-flower. So delicious. The variety on the lunch buffet was amazing. Several chicken dishes and one lamb dish, as well as many vegetarian dishes. The butter chicken was the best I have had. The restaurant offers three types of naan, served hot to the table. We had dinner on Friday 11/23/18 at 8pm , the waiter was Josh. We enjoyed the amazing yummy food , drinks and outstanding service by Josh (not sure of name ) Which I missed in lot of Indian restaurants as per quality of food and service, we decided to come back and feel the same. So we have been there on 11/24/18 for dinner around 9pm. Won’t believe our experience was worst than any other Indian restaurant. The service was really worst by the waiter. He didn’t greet well and we got cold food and there was no check back on us for further order or how the food was until I asked for second drink. As the main course arrived , we were still having at the end of appetizers , plates were suddenly grabbed off. Main course was served without knifes. We ordered onion salad but we got crumbled pieces. Overall first day - Friday we had enjoyed the food a lot. We felt this was an amazing fine dinning restaurant in LA. As to Saturday it was not worst were we lost the impression. Instead of leaving a review I wanted to send this message. Please train Indian waiters to treat everyone equally and sever with a smile and proper way. Food was cold and not fresh. Appetizer were cold and not fresh papar were stale. It was not a good experience. Food quality was very poor. Amazing food, amazing service and excellent experience. Will surely come back. Very unique fine dining Indian place. The food is superb. The service was fine, except the waiter couldn't hear us & got my husband's drink order wrong. The noise level is excessive for an excellent restaurant. We could see people at other tables leaning over their table to hear their companions. At our request, the maitre de turned the background music down, which helped, & he ultimately turned it off, apparently at someone else's request, but the sound level remained unpleasant. Went for dinner prior to a show and the food was amazing and the staff was wonderful. We always had our water glass filled. The waitress was very informative about different types of dishes. 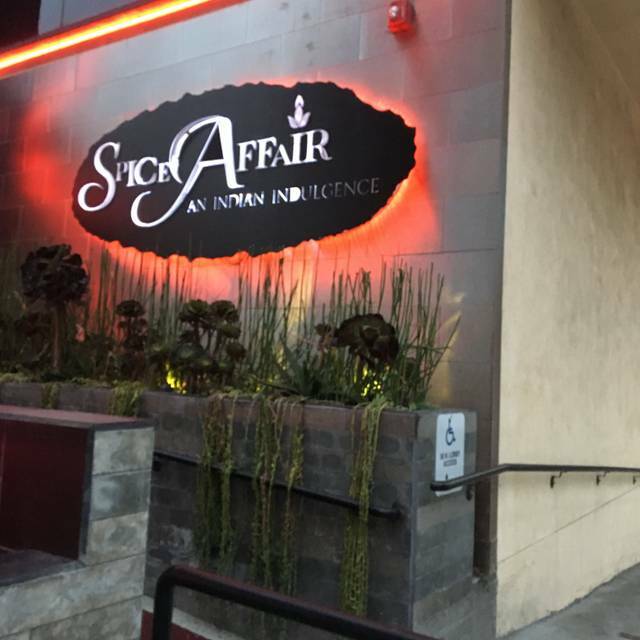 Spice Affair is my favorite Indian Restaurant in Los Angeles area. Everything from ambiance to service to drinks to menu is perfect. They keep changing their menu items so even if you go there often it's not always the same menu. Also great vegetarian selection. My favorites are golden elixir cocktail, dumaloo lababdar, any variety of Bhindi, All the vegetarian appetizers especially the aloo spinach chat and most importantly the tomato tea. I must have the tomato tea everytime. I'm glad that they keep that on the menu even if the other items change. I would love it if they added authentic masala papad in their menu. I have not found any Indian restaurant yet that served proper masala papad. As always the foo is authentic and excellent here. Service is always fabulous. Saturday night is crazy busy so the noise level is really high. Really good crowd. Best Indian food in LA. Excellent food and service. Upscale ambience. We would come back. Enjoyed a special evening with my husband for our first time at this very classy restaurant. We went early and mid-week so it was nice and quiet. We had cocktails at the fabulous bar and a starter of chili pesto and parmesan naan. Perfect snack to start us off. We then sat in a lovely booth, had wonderful and nicely attentive service and very much enjoyed the ambience. We ordered the coco-li-flower (cauliflower appetizer) which I dipped in the mint chutney. Quite yummy. Our main was the shrimp and scallops moillee which was very tasty with a side of basmati brown rice, garlic naan, and Dum Aloo Hara Masala (stuffed baby potatoes.) We highly recommend all the dishes that we devoured. However, we do not recommend the deserts. We tried two—chocolate molten cake (very disappointing) and the gulabo which was icey. We have had the rose flavored ice cream several times at other restaurants and it was always much creamier. Overall, although somewhat pricey it was a lovely meal in a beautiful setting. 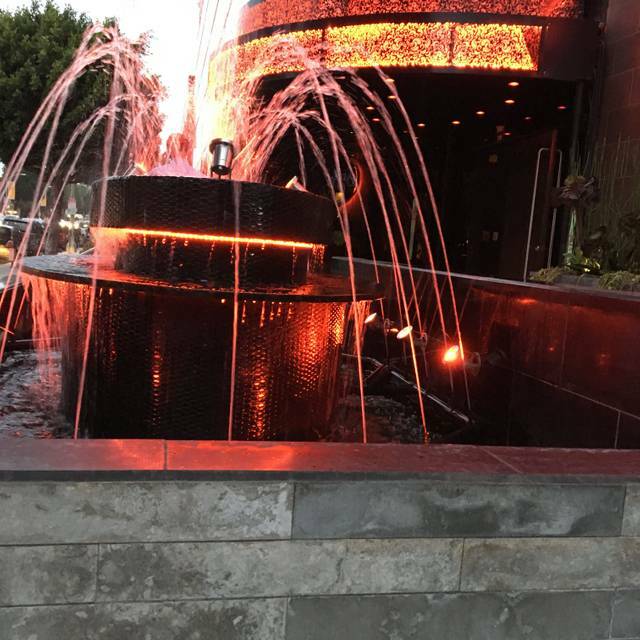 Nice spot for dinner in Beverly Hills if you’re craving Indian. Exceptional service.